Thomas Horio was born in 1946 in Honolulu, Hawaii. He enlisted in the Hawaii Army National Guard on February 15, 1967, and went on active duty for training on March 31, 1967. Pvt Horio completed basic training at Fort Ord, California, in June 1967, and then advanced individual training as a radio telegraph operator at Fort Ord from June to August 1967. He reverted to duty in the Hawaii Army National Guard on August 11, 1967, and served with the 227th Engineer Company at Fort Ruger, Hawaii, from August 1967 until he was activated in the U.S. Army on May 12, 1968. 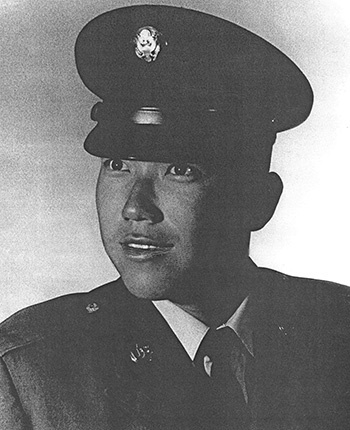 SP4 Horio remained with the 227th Engineer Company on active duty at Schofield Barracks, Hawaii, until he deployed to Southeast Asia in December 1968. 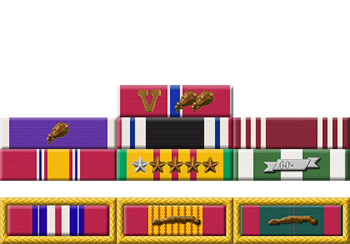 He served with 1st Battalion of the 10th Cavalry Regiment in South Vietnam from December 1968 until he was captured and taken as a Prisoner of War on May 11, 1969. After spending 1,417 days in captivity, SP6 Horio was released during Operation Homecoming on March 27, 1973. He was briefly hospitalized to recover from his injuries, and then left active duty on July 20, 1973.